Unless its a specific uniform that cannot be worn outside of work, then no, you shouldn't/couldn't claim. Can you do this for previous years? If so do you need to do a form for each year? Also what happens if you can changed employers since can you still claim? can someone tell me how much they've claimed back? Do you need to fill in a form for each year? Nurses & other health care professionals should look at "EIM67240 - Tax treatment of nurses: expenses deductions: laundering uniforms: amount to be deducted"
Claims are usually by letter or via a tax claim form. You can go back 4 years. Once claimed an adjustment is given via your code number & carried forward to later years. I've worked in retail between 2005 and 2014. How many years can I claim back? I've worked in retail between 2005 and 2014. How many years can I claim … I've worked in retail between 2005 and 2014. How many years can I claim back? When you go to link and open the form, it only allows you to claim from Apr 2012. So in your case you can claim anything from 1yr 9mths-2yrs depending on the month you finished. So for e.g. if you finished in 5th Jan 2014 then it is 1yr 9mths if you finished in Apr 2014 then it will be 2yrs. My partner claimed for 3 years, got cheque yesterday for..... £10! It's a change in your tax allowance so your tax code changes - usually about £30 a year? not exactly a "new deal"
I did this a couple of years ago when I had a uniform. I got about £40 which I was well pleased with - money I didn't know I was going to get, in my pocket rather than the tax man. the form is so confusing, under what rebate does this come under? Dont you have to claim at the end of the tax year or can you apply whenever? I'm only asking because they need to see how much tax you've paid before they calculate what they owe? Over 16 I think, as long as your working and have a National Insurance number. Dont you have to claim at the end of the tax year or can you apply … Dont you have to claim at the end of the tax year or can you apply whenever? I'm only asking because they need to see how much tax you've paid before they calculate what they owe? You can claim at any point in the year, and they can go back i think it's about 5 years (depends on how long you have been doing this job), just looking at my tax code and i get £60 a year tax allowance extra. As a nurse we can also claim tights and shoes allowance as well. I used to work for the Inland Revenue and had a colleague who always mentioned, with a leer, when he had a nurse putting in a claim for their stockings. if you only have to wear a branded tie...how much would the claim be for??! Hubby works at Nissan. His is £60 a year. if you only have to wear a branded tie...how much would the claim be … if you only have to wear a branded tie...how much would the claim be for??! Just to be clear, you get an extra tax free allowance on your salary, right? I just started a new job around a month ago which requires me to wear company uniform, should I apply for this now or after a few months? Just to be clear, you get an extra tax free allowance on your salary and not a cheque through the post, right? I just started a new job around a month ago which requires me to wear company uniform, should I apply for this now or after a few months? Apologies for my ignorance, I'm a newbie at this. How much is should me claimed? say uniform washed every week for 5 days in a year at home working in an exceedingly goood bakery? What shall I put on put p87 in sention 4? How much you have claimed? 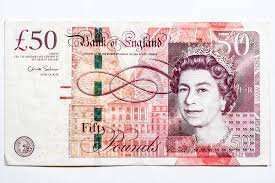 The standard minimum amount you can claim is £60 per year, unless you can prove the costs you incur for cleaning uniform is higher than that.